The Rollonin Cafe in Bowning will host its ninth Country Fair on Sunday. Photos: Facebook. The cries of ‘Bail up! Bail up!’ will resound across the Yass Valley heritage town of Bowning on the weekend when reenactments of a bushranger hold-up of a Cobb and Co coach punctuate the Rollonin Cafe’s ninth Country Fair, in support of cancer charity CanAssist. Proceeds from the Fair will go to CanAssist Yass Valley. The replica slab hut cafe built by Renata and Tony Ryan has helped put Bowning, an hour’s drive from Canberra, on the tourist map, with the town now a fixture for visitors and coach tours. The couple became involved with CanAssist when Tony was diagnosed with a melanoma and every country fair since has helped the charity support people in the Yass Valley with cancer, raising $50,000. “CanAssist helped him out financially when we first opened the café and we wanted to give back,” Renata said. Tony passed away in 2012 but Renata has kept the business and the fairs going, promising Sunday’s will be the biggest and best yet. 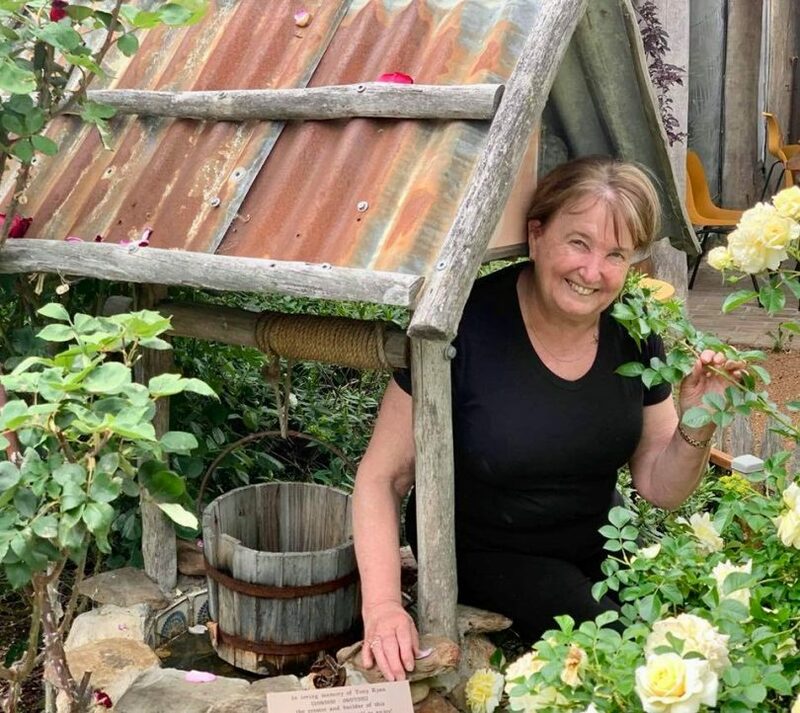 Renata Ryan and the wishing well in the back garden built by son Richard and Tony’s brother Paul in honour of Tony. 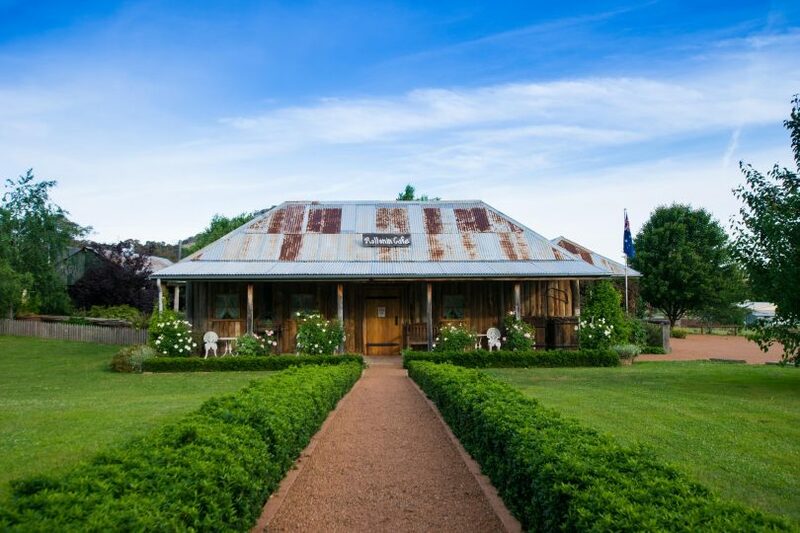 With its old inn and former Cobb and Co coach station next door to the cafe and the area’s bushranger history, Bowning, thanks to the Ryans, has capitalised on its heritage to thrive, with the pub and another cafe adding to the village economy. “Everything else has come along, like the pub, there’s another café in the antique shop, so there are a few things happening in Bowning,” Renata said. Five coaches were already booked for next year, and the cafe is a regular host for car clubs, weddings, and functions. The Cobb and Co coach will need to be on guard next Sunday at Bowning, where bushrangers are known to frequent. On Sunday, there will be 30 market stalls, horse and coach rides and old bush skills on display including wool spinning, furniture-making and blacksmithing, with music by the Black Shillings Celtic band from Wagga Wagga. Local champion archers Stuart and Frances Atkins, who are heavily involved with the Canberra Archery Club, will also show off their bowmanship. 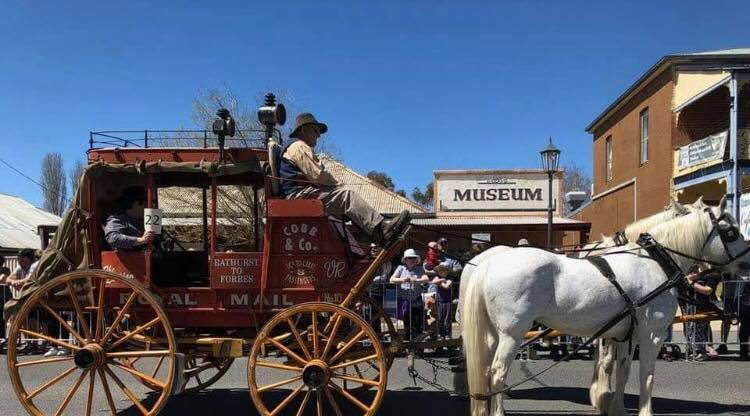 Young-based non-profit organisation Gold Trails Reenactments will stage two hold-up reenactments at 11:30 am and 1 pm, with a restored coach from Travealy Horse Drawn Carriages in Cowra and smoking pistols. The Country Fair is on Sunday, 18 November, from 8:30 am to 4 pm. Entry fee is a paper/polymer note donation, with proceeds going to CanAssist Yass Valley. 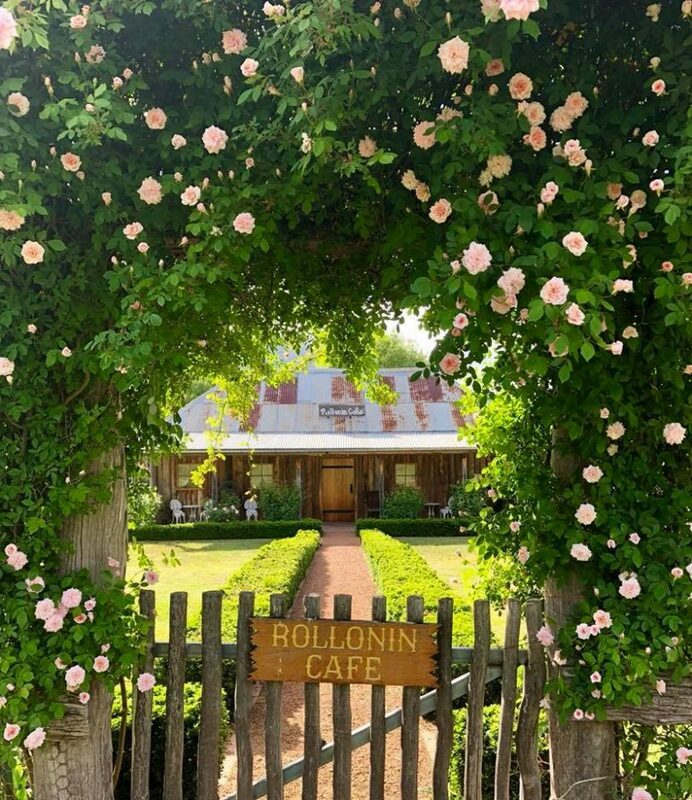 Want to be the next owner of the Rollonin cafe and a piece of history at Bowning?